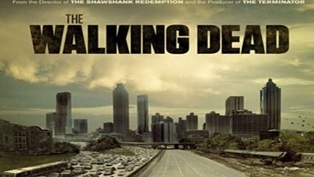 The Walking Dead is one of the most popular programs on television. This fall the fourth season will begin. It is on Facebook, there are apps, there are games and I expect there will be a series of movies in 3-D. The idea came from the comic books which began back in 2003. 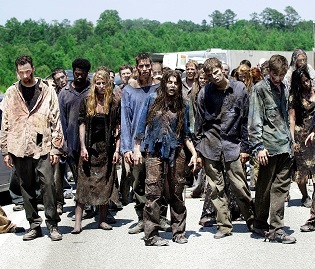 After an apocalyptic event, humans fight “walkers” similar to zombies. My question for you is “Are you one of the humans or one of the ‘Walking Dead’”? Now you’re asking what I mean by this question. I’m asking how engaged you are in your business. Let’s do a little self-analysis. First pull up a 5 day hour by hour calendar on your computer. One with at least hour slots on it. It might be best to print it unless you are on your computer all day long. Start by tagging each of the calendar’s days with a number from 1 to 5. I have put one together for you that you can access on our website (Go to www.SayYesToSuccess.com, click on the Free Stuff button and Download the pdf form). You are going to write in the calendar hour by hour what you are doing. I know this isn’t easy but you can do it. If you get an hour or two behind you can think back and put into the calendar. You must have some disciple to do this and be of the right mindset. You must be ready to change your business and your life. As the days progress you start to gather a picture of what you do all day long. As a business owner or manager, there are an endless variety of tasks you must perform. You’re the coach, the CEO, the CFO, the CSR, the Buyer, the Technician, the Service Manager, the HR department, the delivery driver, the estimator, the collections department, the referee, the trainer, the tool crib man, the vehicle maintenance department, and on and on. There are a never ending list of tasks you can handle and a myriad of problems and issues for you to solve. After the 5 days you will have a reasonable idea of where your time has gone. Now comes the interesting and difficult part. I want you to take an hour alone with your office door closed, computer screen off, cellphone turned off and a mindset that you want to improve your business. If the office doesn’t work, try a quiet coffee shop in your area such as a Panera to analyze your input to the business. Perhaps you need to do this early in the morning or on a weekend so you won’t be distracted by your people needing you during this hour. I can assure you that your business will not fail because you have been out of touch for an hour. Look at the various tasks and honestly ask yourself, “Could someone else in our company do this instead of me? Could I hire someone for a lot less payroll expense to do these tasks? Could I sub these out to someone else?” Then ask you, “Have I put in a real effort during this week or have I just slacked off?” And finally ask yourself, ”What did I do to make changes within the business that will make the business more profitable this week?” These last two questions are the real telling ones. If you haven’t put the time into your business or the true effort, you are one of the “Walking Dead” as far as your business is concerned. If you have done little or nothing to make changes to improve your business then you have not been the spark to make things happen. You are one of the “Walking Dead”. These could be checking you invoices, flat rate books, and financials for price changes. It could be developing or editing the employee manual. It could be building a budget. It could be looking at new income producing options for your business. It could be training your Technicians to have better customer service skills. It could be improving your marketing. The list is endless and different for every owner and business. But, you must do it to survive in today marketplace. Are You a Half-Hearted Kamikaze?